Anna and Elsa are two inseparable sisters (I have two daughters a lot like them!) in the latest Disney animated comedy musical drama . . . They are different – the younger being adventurous and mischievous, the older more cautious – but, because she loves her sister and hanging out with her – gets drawn into her crazy schemes. 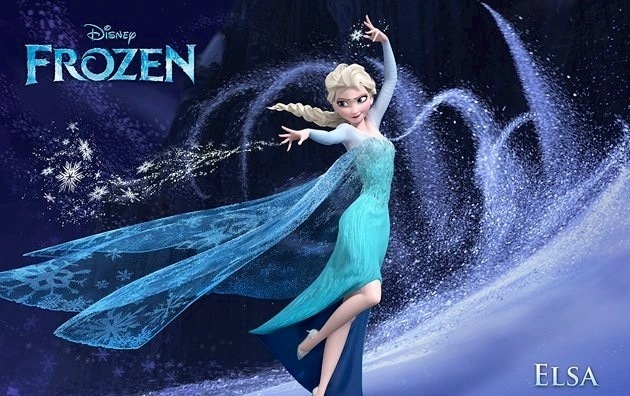 Oh, and one other thing – the older daughter, Elsa, has a special power – she can make snow and ice with her hands just by touching stuff or shooting ice and snow from her finger tips . . . It is a great gift to have as kids, they both love it – until, there is an accident and Elsa almost kills her younger sister Anna (her life is saved by some cuddly, cute trolls). At this point there is a warning for Elsa about her powers – she must watch out that fear does not master her and take control – her powers could go crazy. She must control it and – especially her emotions as they make the snow and ice go off the scale. Saying to a child ‘don’t let fear grip you.’ Is a bit like saying don’t touch that big red button, or don’t think about ice cream – it’s going to happen! Anyway, Elsa looks herself away – Anna, the younger sister, although saved by the trolls – cannot remember any of the adventures with snow and ice and the special power her sister has (and does not get why her best friend now won’t talk to her or see her). . . .
Years pass – the girls grow, become young princesses – finally, the elder sister is crowned queen. Elsa still can’t control her power, it controls her – the fear, the need to hide her feelings and emotions – some thing at the coronation party pushes her buttons and BAM – everything is ice and snow. Horrified at what she has done, Elsa rushes off to the libations and builds herself an ice palace (as you do). Anna, her plucky younger sister leaves the kingdom in the hands of an devious and scheming prince (though she doesn’t realise that at the time) and heads off to find her sister. They meet. The crazy ice power is unleashed once more – this time, unlike when they where children, the ‘ice strike’ hits Anna’s heart and is deadly. Elsa cannot see what she can do to control this power. It has consumed her. Finally, out on the ice that used to be the sea around the kingdom, an incredible act of sacrifice brings healing and peace. Anna – in her last moments – leaps to defend her distraught sister from the fatal blow of a sword from the devious prince. The sword shatters as it hits the solid ice that is now Anna. Elsa embraces her sister and weeps. Then the miracle happens, slowly Anna thaws and is restored. Love, and sacrificial love at that – has dealt with fear and death! All of this story telling (in case you haven’t or don’t watch the film). – Have you ever felt the chill of absolute terror? Maybe nothing frightens you. Ha! I don’t believe it – we all get frightened by something – fear of failure, getting old, death itself, fear that we will never find the right relationship, fear that nobody actually likes us, fear that if we actually succeed at something there will be no more excuses for our mediocre life, fear that one day we will be found out, fear that we will never amount to anything . . . Etc. Well, don’t be frozen by your fear. Don’t let your fear dominate your thoughts and actions. Elsa could not see a way out or through her fear and the need to always be in control broke her – and she lost control. We are not made to hide who we are. We are made for freedom and beauty and delight and laughter and absolutes joy! A great scripture, that needs contestant mediation is this, ‘perfect love casts out fear’. It is from 1 John Chapter 4, in the same passage of scripture that just states, ‘God is love’. Fear, you see has to do with punishment. Get that? Punishment. What have I done wrong? I am no good. I can’t do any better, this is all I deserve, I am nothing. We deliver the punishment – we punish ourselves – even after we are forgiven and redeemed – we sometimes don’t accept and receive God’s perfect, indescribable, life nourishing, all for us, abounding, endless love! In Christ, nothing is hidden – in God, scripture says, (1 John 1 verse 5) ‘there is no darkness at all’. If we are in Him, then what incredible joy is ours! His light and life and perfect love drive out and banish our fear. We are free to love and be loved! Don’t be frozen by fear – don’t let fear hold you back from the incredible love of God – step in to all that He desires for you and your life. Be loved today and loose the fear!